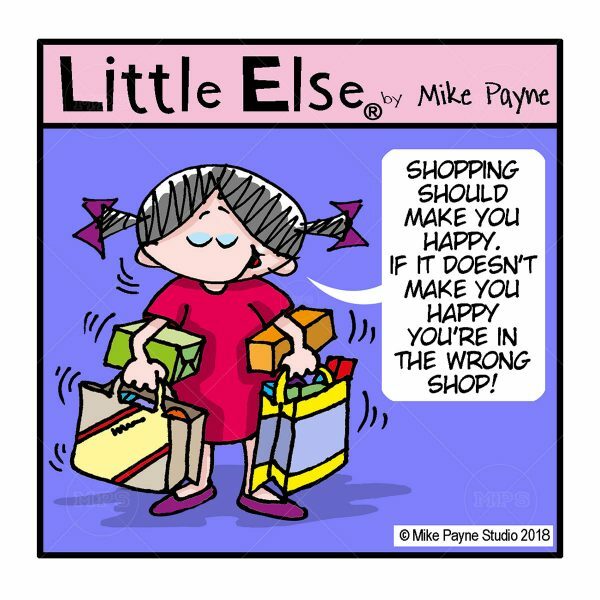 “Little Else” is a little girl of four and a half years old. 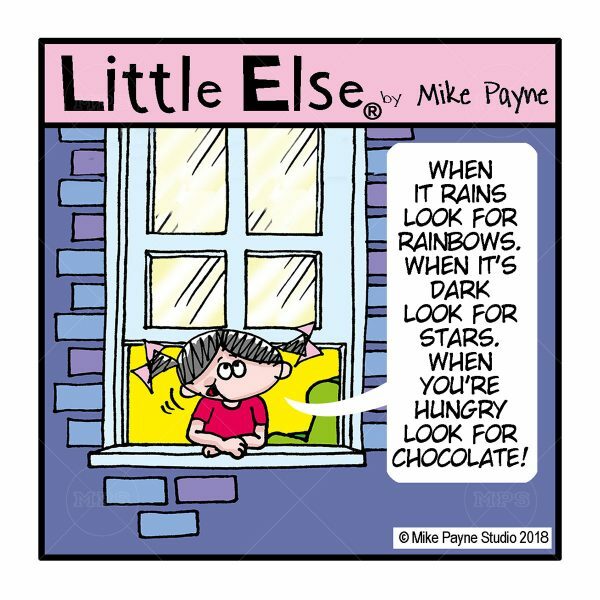 This is life through “Little Else’s” eyes. 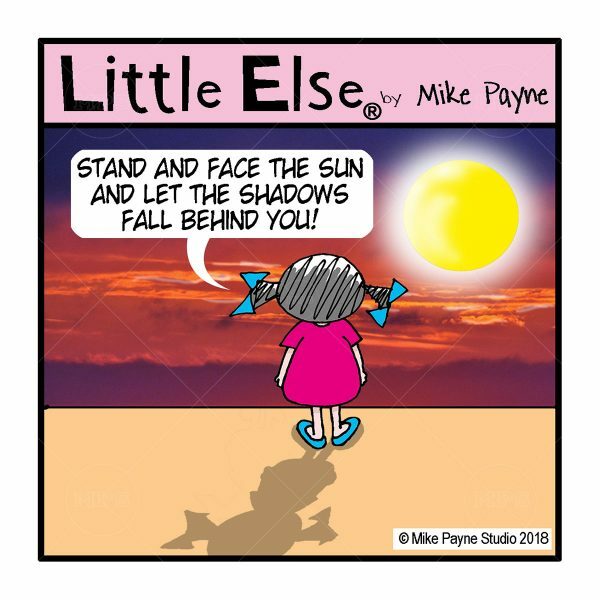 Her wisdom, her sayings and her take on life. 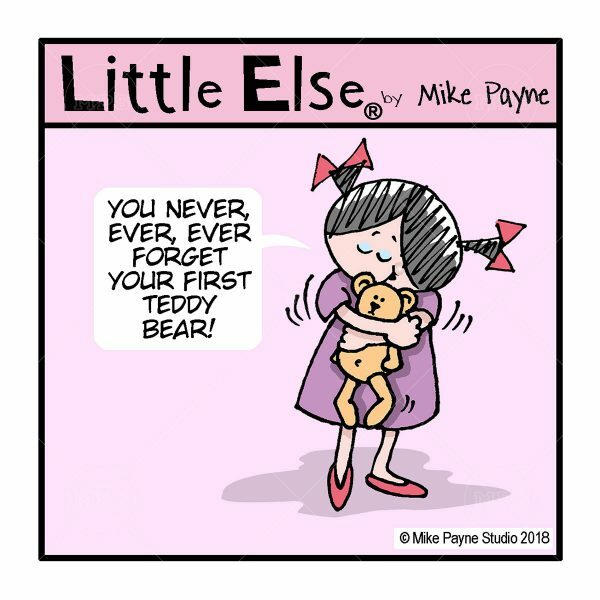 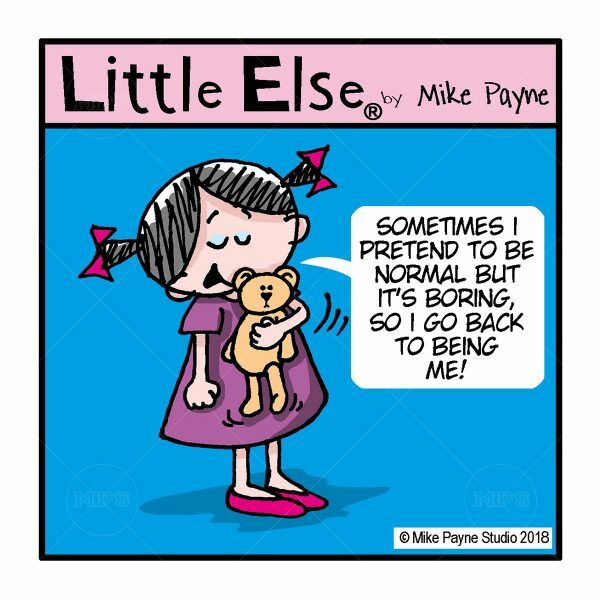 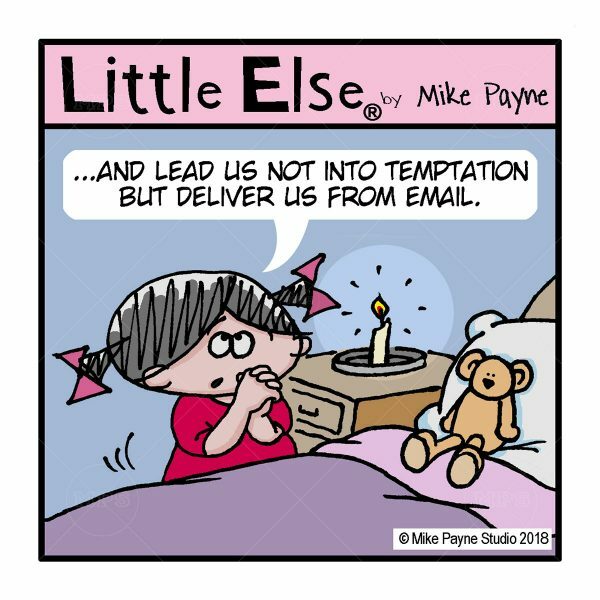 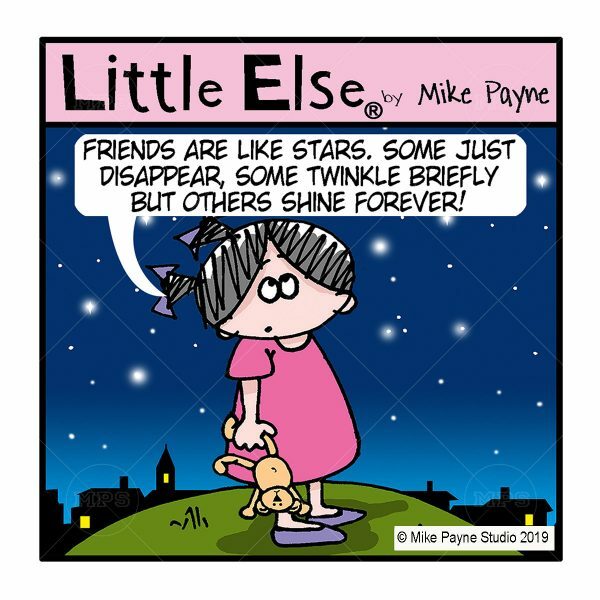 Created and drawn by award winning artist Mike Payne, who is also the creator and original artist of the Me To You, blue nosed bear “Tatty Teddy”. 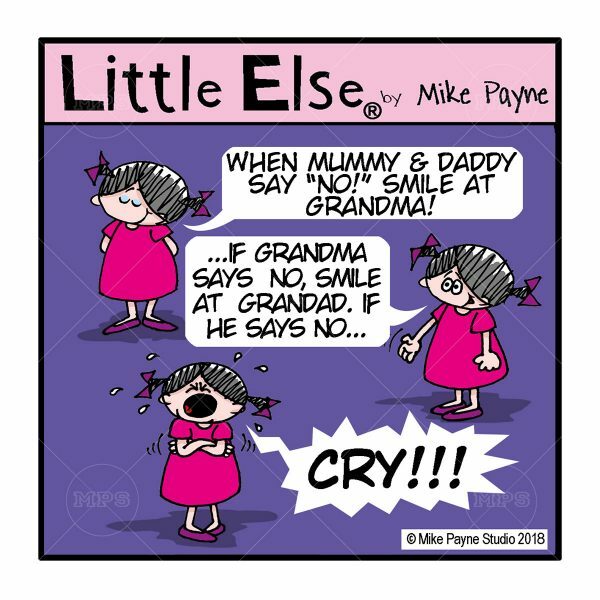 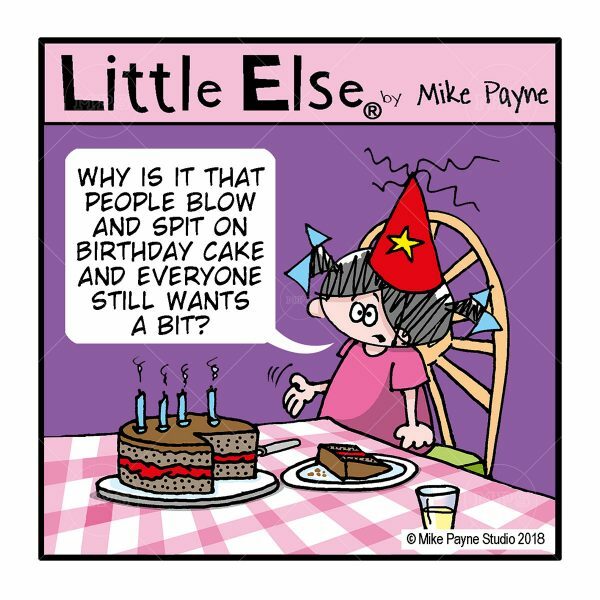 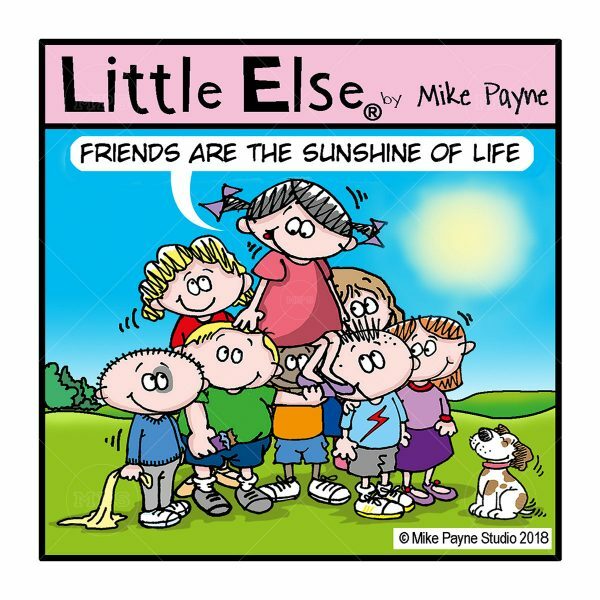 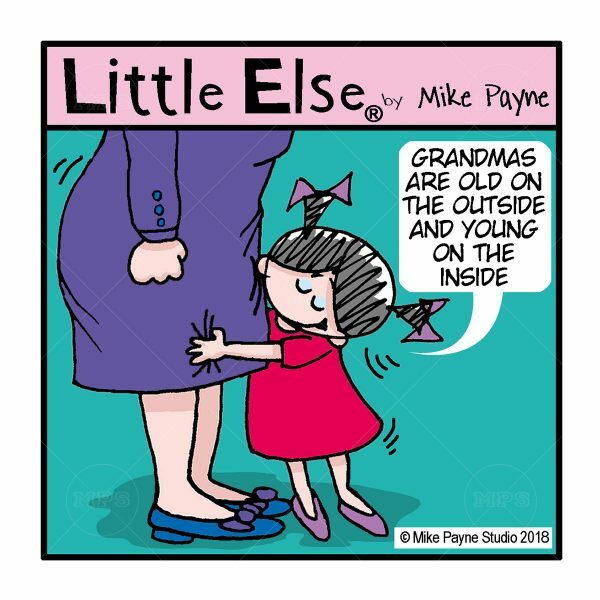 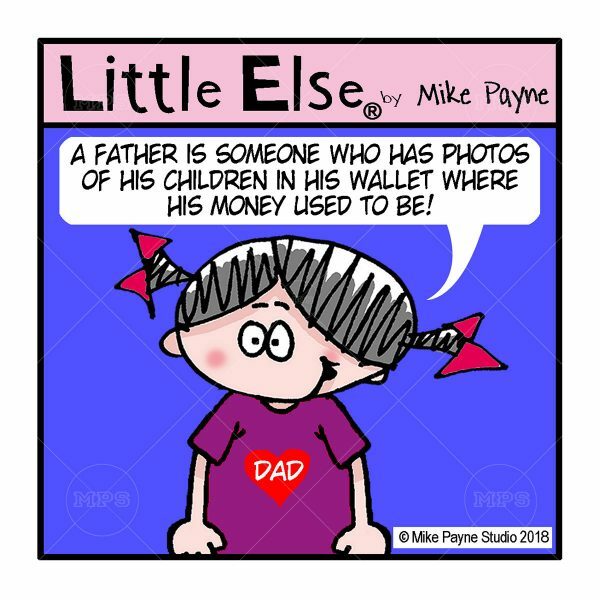 There have been times in Mike’s life when he seemed to do illustration, drawing, cartooning and little else!” Then the more he thought about it, it was clear that “Little Else” was a character in her own right.